Spring is here! My favorite season of all, the advent of Spring makes me so happy. I love blooming trees, the scent of flowers and cut grass, the birds singing outside my windows, the warm sun…. 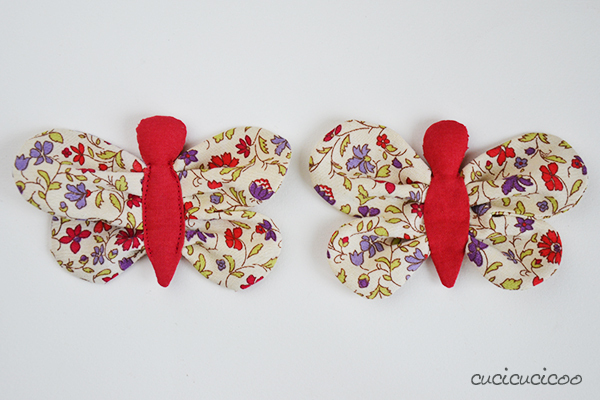 So today I’m proposing a stash-busting and scrap-busting project for spring: fabric butterflies! I’m not the only fan of Spring. 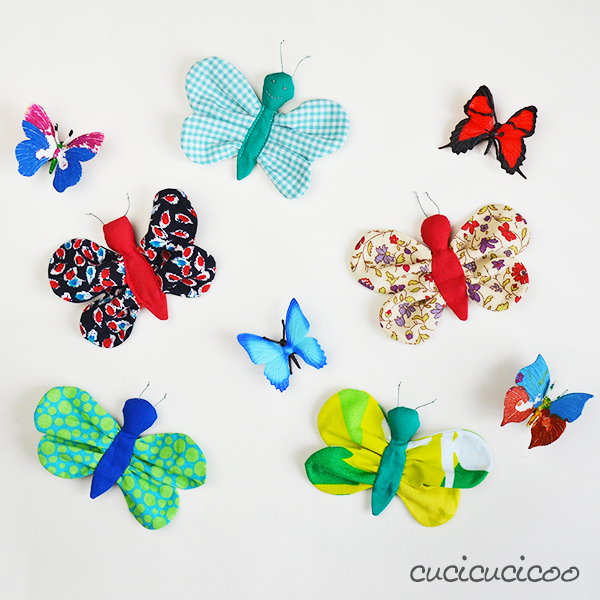 Rosa from the Italian craft blog Kreattiva created an initiative meant to bring color and joy, and a sense of lightness of mind and spirit, to this season, in which a series of Italian bloggers create tutorials for making one of more butterflies in any handmade technique, and then let them loose by displaying them somewhere in public in order to share their joy with everyone, as well as to celebrate the handmade movement. What a wonderful idea! 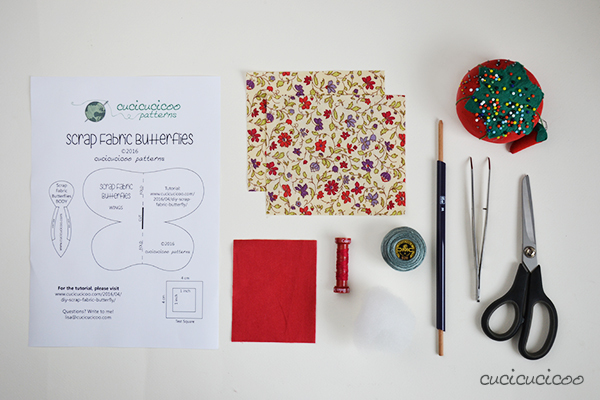 So I came up with a butterfly sewing pattern that is just perfect for using up colorful fabric scraps. You can use these little guys in so many ways to accessorize and decorate, which I’ll show at the end of this tutorial. 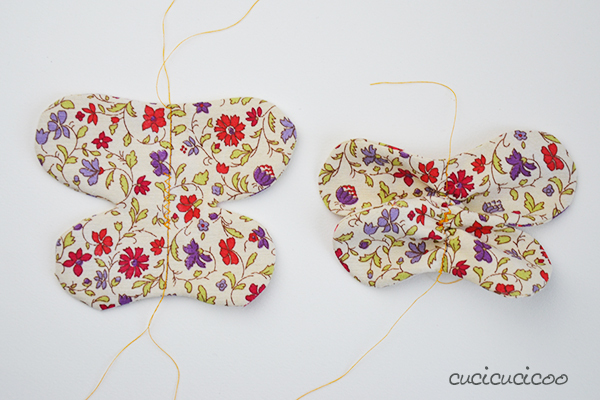 Ready to make a scrap fabric butterfly or two (or three or four!)? Let’s get started! 1. 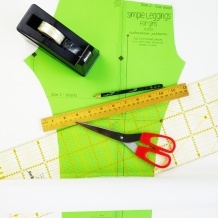 Print the pattern at actual size (read here to find out more about printing PDF patterns correctly) and cut out the two pieces. I like to glue small patterns to cereal boxes before cutting them out to give them more stability. 2. 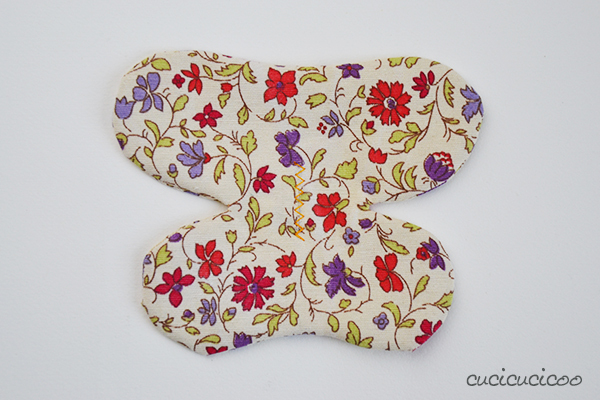 Position the wing fabric pieces together and fold the body fabric in half, both with right sides facing. Trace around the two pattern pieces with a pen or other marking tool. 3. 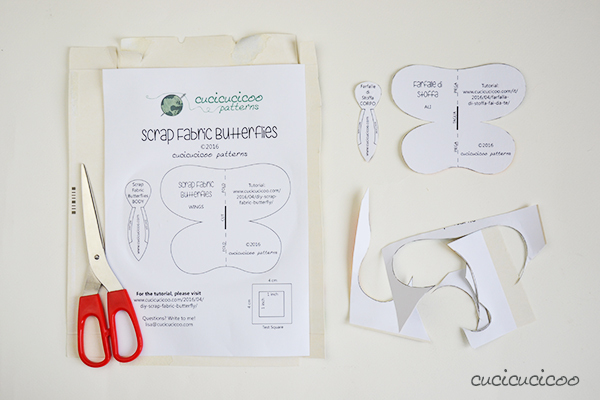 Fold the wings pattern piece in half along the fold line and position it on the fabric you traced on in step 2. Draw a line along the area marked “CUT” on the pattern, as indicated by the arrows above. 4. 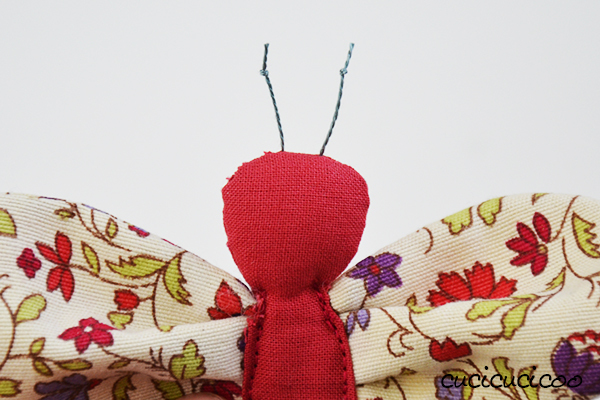 Sew along the traced lines all around the wings. 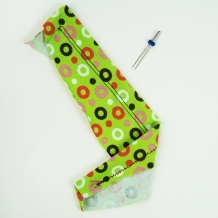 Sew only on the top and bottom of the body, leaving the area between the marks made in step 2 unsewn, as shown above. Make sure to cut super deep into the point between the top and bottom part of the wings. 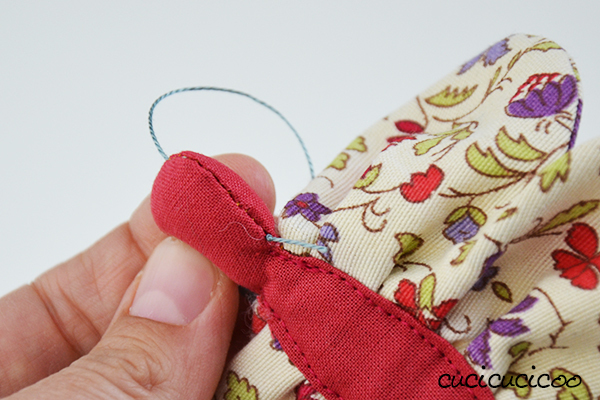 You need to clip as close as possible to the stitching without cutting into it. 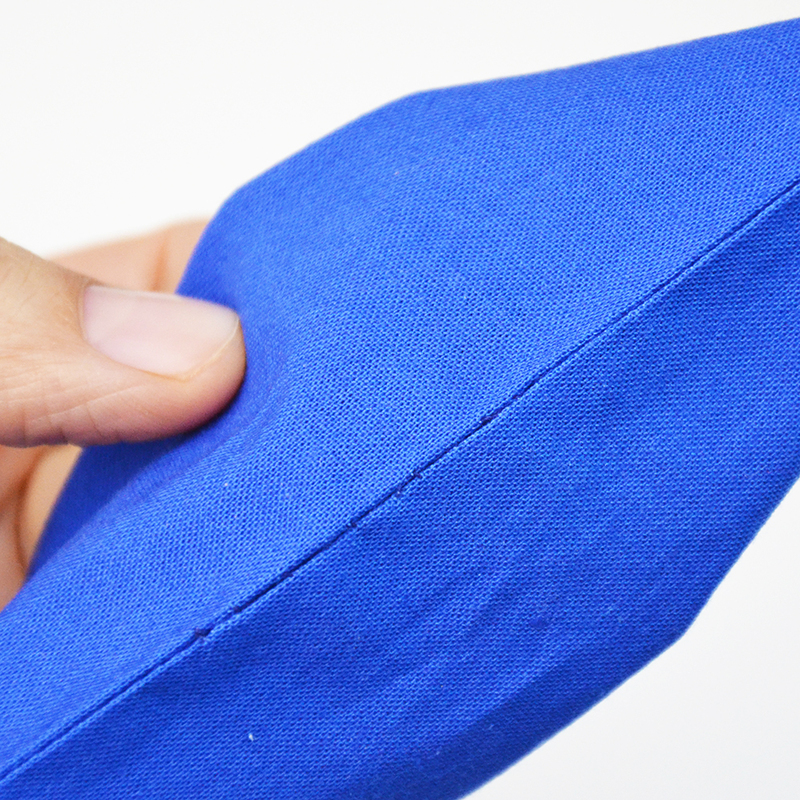 Leave a little extra fabric on the sides of the body. 6. 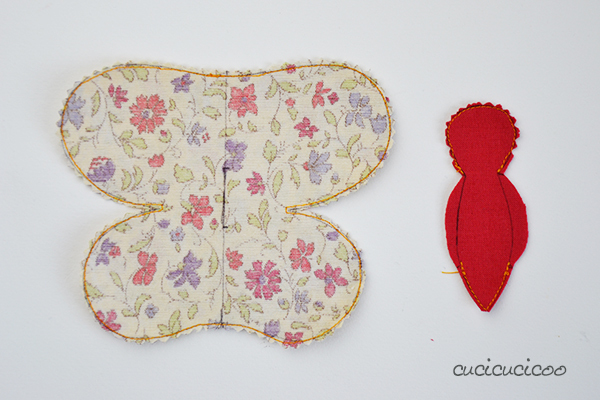 Pull out only the top layer of fabric of the wings and make a tiny snip on the line you traced in step 3. 7. 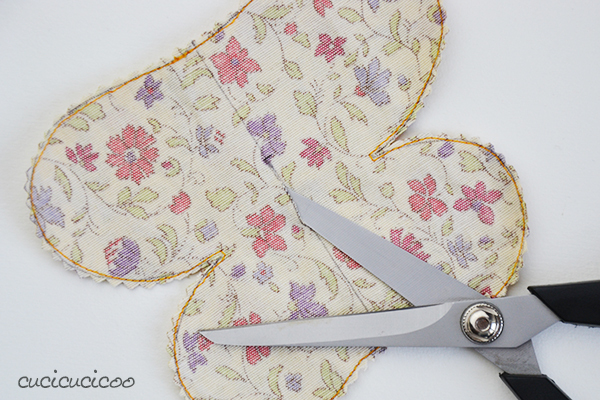 Slip the tip of your scissors into the little cut made in step 6 and cut along the entire traced line in the center of the wings. 8. 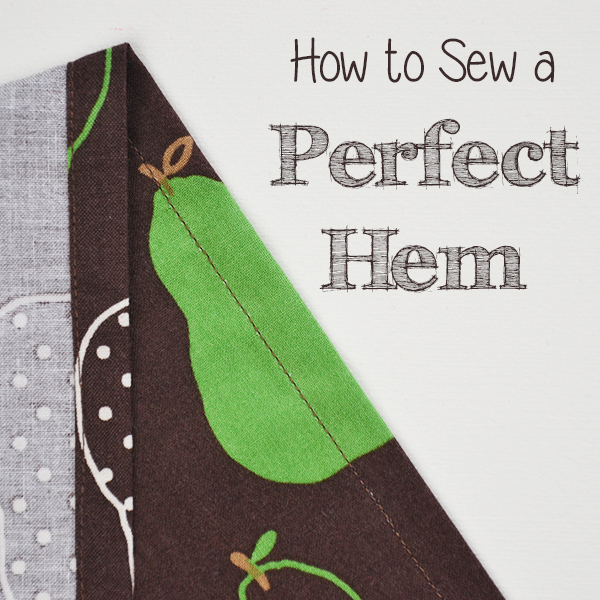 Turn the body piece right side out carefully, helping yourself with a turning tool*, sewing tweezers* or a chopstick, and press it flat, leaving the side openings sticking out. 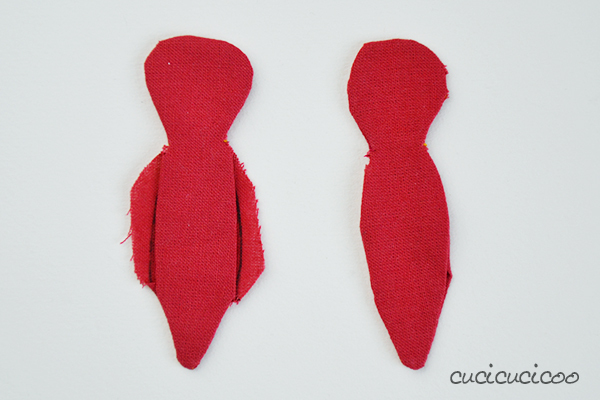 Fold the top side openings inward to match the traced shape as well as you can and press (on the left in picture above). It’s not easy because of the curved shape. Then flip the body over and turn the other side openings inward and press. 9. Stuff the head with a little bit of stuffing. I realized after taking these pictures that it makes much more sense to add the antennae and face (if you want one) at this point instead of doing it at the end, so you might want to do steps 15-18 at this point. 11. 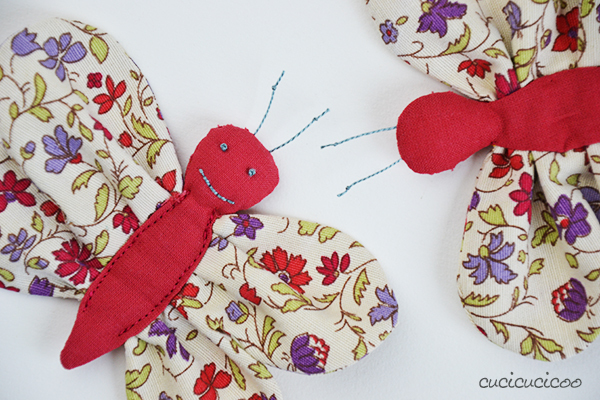 Put the folded wing pattern on the fabric and trace a line along the fold. 13. 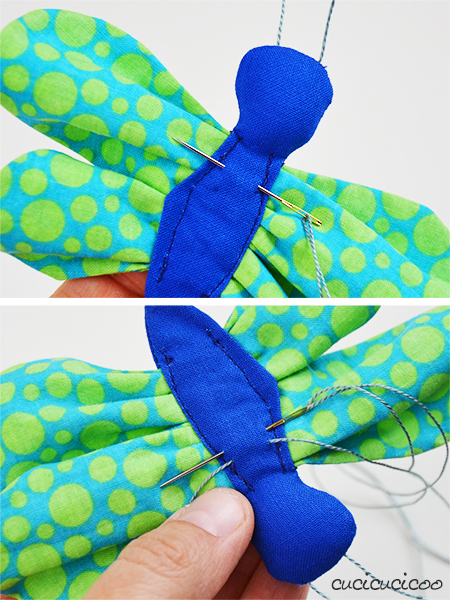 Slip the wings inside the body and center them so that the zig zag stitches from step 10 are hidden. Arrange the gathers to your liking and pin the layers in place. 14. 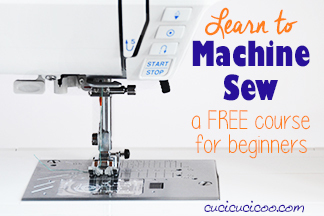 Sew the sides of the body closed. The fastest way to do this is by machine (as seen on the left), but this way is a bit messy-looking. You can see the stitches, it’s hard to line up the body fabric the same on both the front and the back, and you can’t fix the curve of the body as you sew. Sewing the body closed by hand takes a little longer, but looks infinitely nicer (as seen on the right). 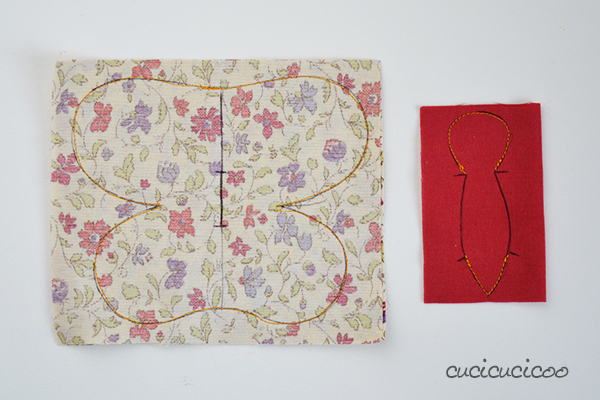 Use the ladder stitch (see my tutorial here) to join each folded body side with the wing fabric below, and you can adjust the body’s curve as you go and the stitches are totally invisible. I much prefer this way. 15. As I mentioned in step 9, it makes so much more sense to add the antennae before closing up the body by inserting the needle inside the stuffed head, but it didn’t occur to me until after taking these pictures. 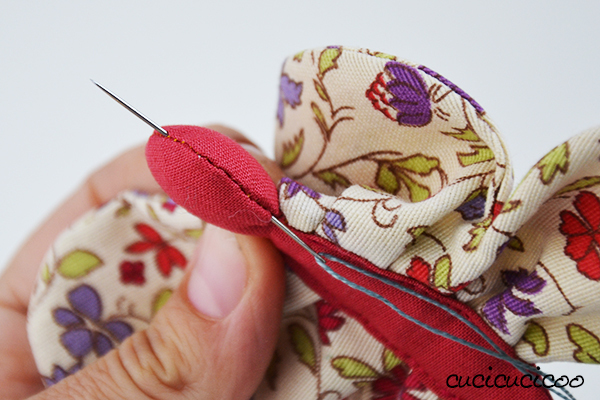 Thread an embroidery needle with some embroidery floss and tie a little knot (not a double knot) at the end. Stick the needle somewhere hidden and pull it out where you want the first antenna to go. 17. 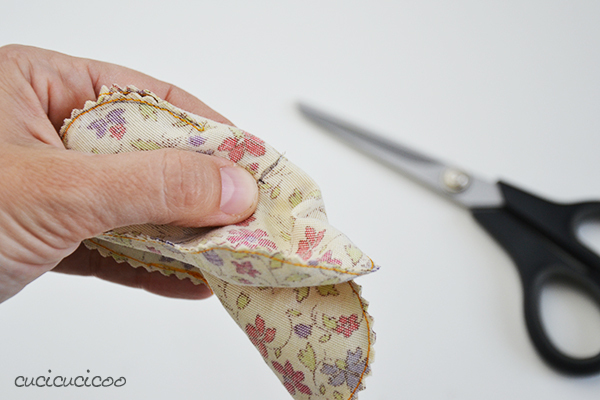 Cut the floss about 2″ (5-6 cm) away from the fabric, then repeat steps 15-16 on the other side. 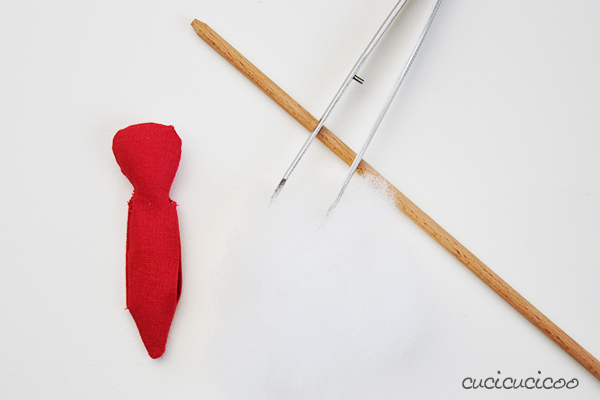 Tie knots on each side and trim the thread to the same length on each side. 18. If you’d like, you can also embroider a face. I used French knots for the eyes and backstitch for the mouth. I honestly prefer them without a face, but my kids like the ones with faces more. 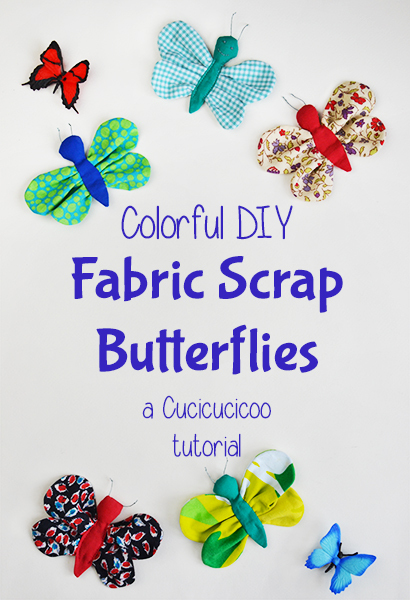 Now that you’ve made one scrap fabric butterfly, make a whole bunch more! 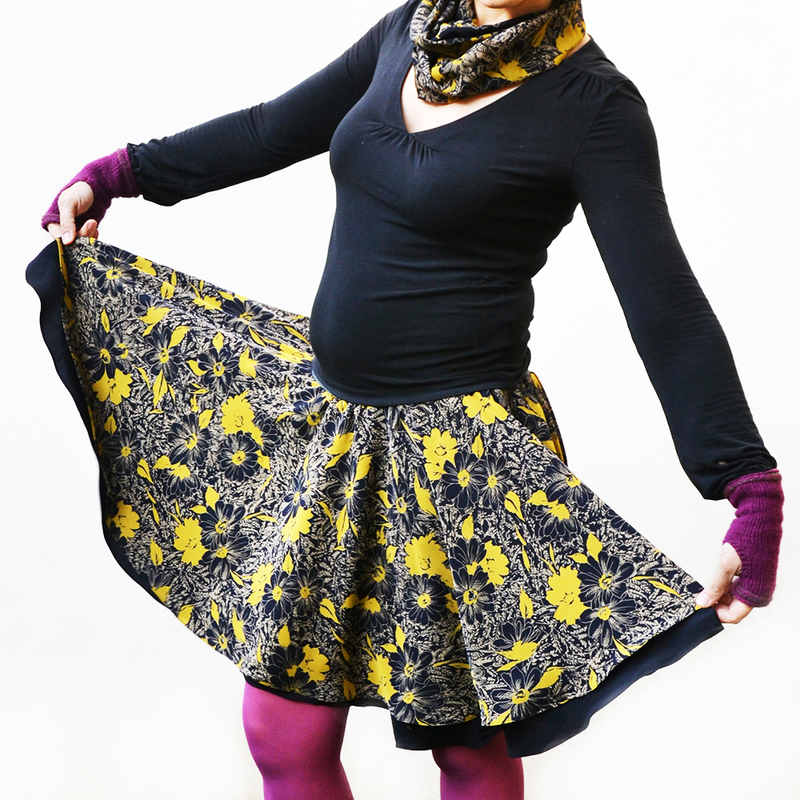 Experiment with different colors and prints! I found that I preferred a non-directional small print for the wings and a matching solid color for the body. So, what can you do with these little fellas? 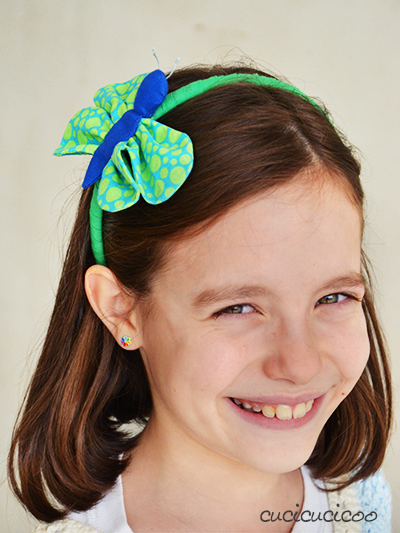 Cover a headband with fabric of a coordinating color and glue a butterfly on it for a sweet little girl! 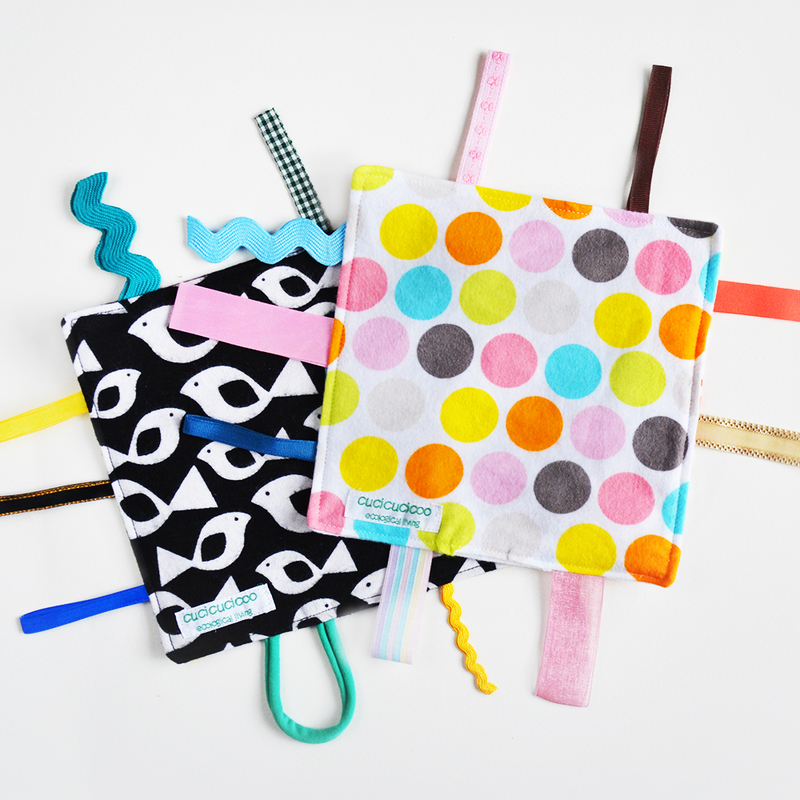 …and make your outfit or bag a little more colorful! 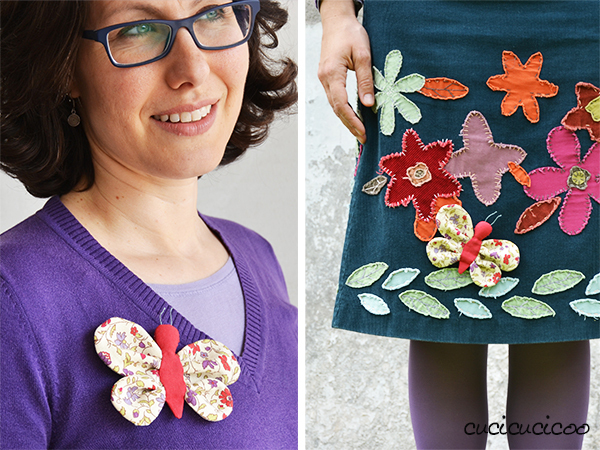 This butterfly felt right at home on my garden-themed skirt. 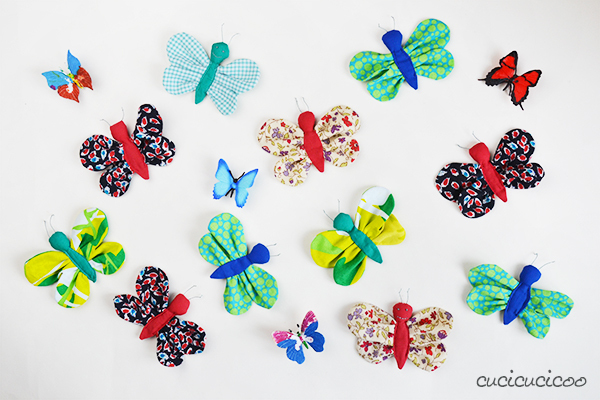 I made some extra butterflies to turn into a baby’s mobile to hang from the ceiling, but haven’t gotten around to making it yet. 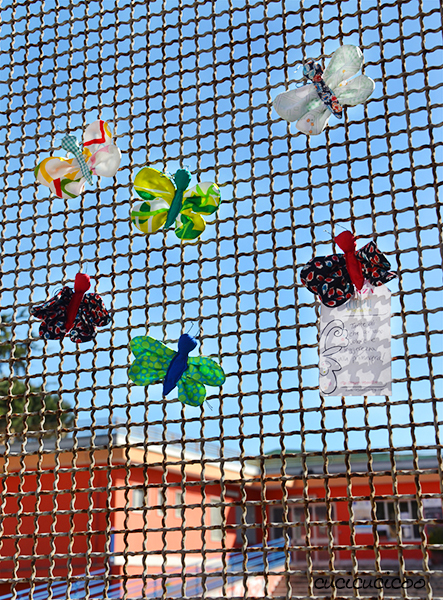 Or bring color and joy to the people of your town by hanging some butterflies up in a place that needs a bit of happiness! 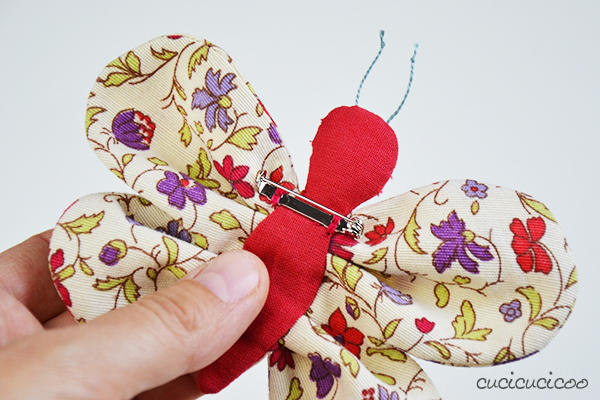 To do this, thread a long piece of embroidery floss, string or thick thread across the butterfly’s back then, without pulling the thread all the way through, pull the thread back across the butterfly’s back just underneath the first one. Knot the two cut ends together and pull gently on the two ends of string to make them roughly the same length. 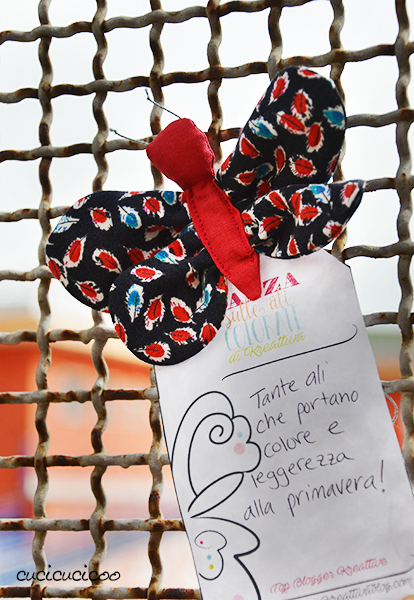 And just tie the threads around a gate, pole or sign, and your butterfly will be there to greet everyone who passes by! 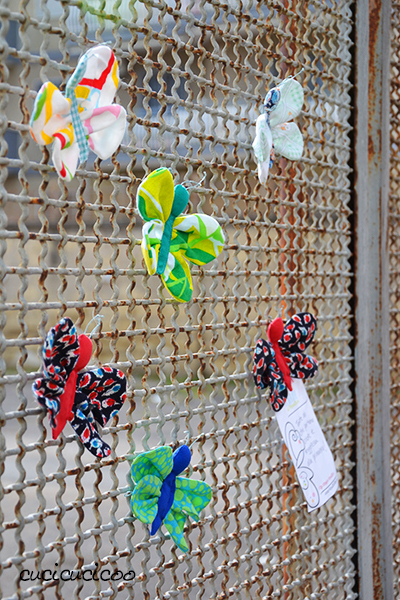 I attached my butterflies to the very dreary gate outside my kids’ school. This way they can greet the parents and children, hopefully bringing smiles to their faces! 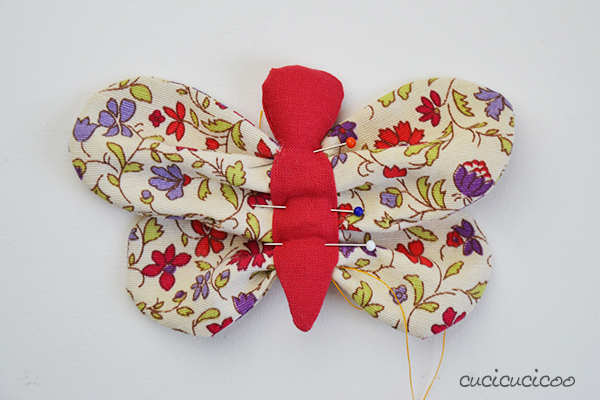 If you want to see other tutorials on how to make butterflies with all different techniques, make sure to visit the page of the initiative at Kreattiva! 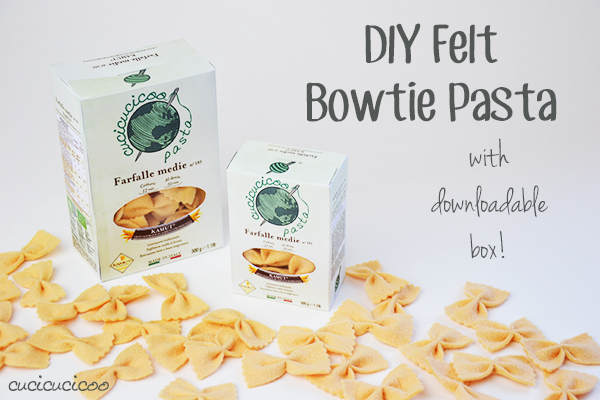 And if you love all things butterfly, how about trying this super easy felt butterfly pasta (aka bowtie pasta)? There’s even a super cute downloadable and printable box that makes it look totally realistic! 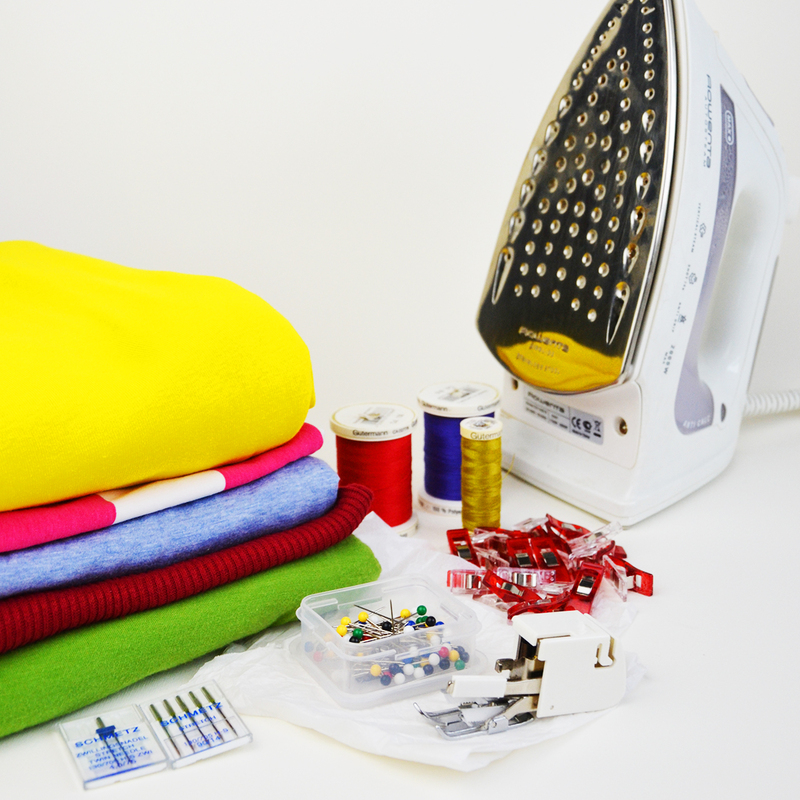 Previous articleMake a bag from a T shirt: No-Sew Tutorial! 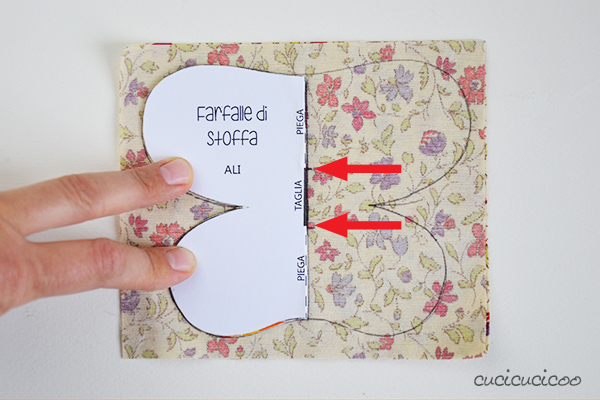 Wow Lisa, queste farfalle sono stupende e il tutorial spiegato benissimo come sempre. Non vedo l’ora di mettermi al lavoro! 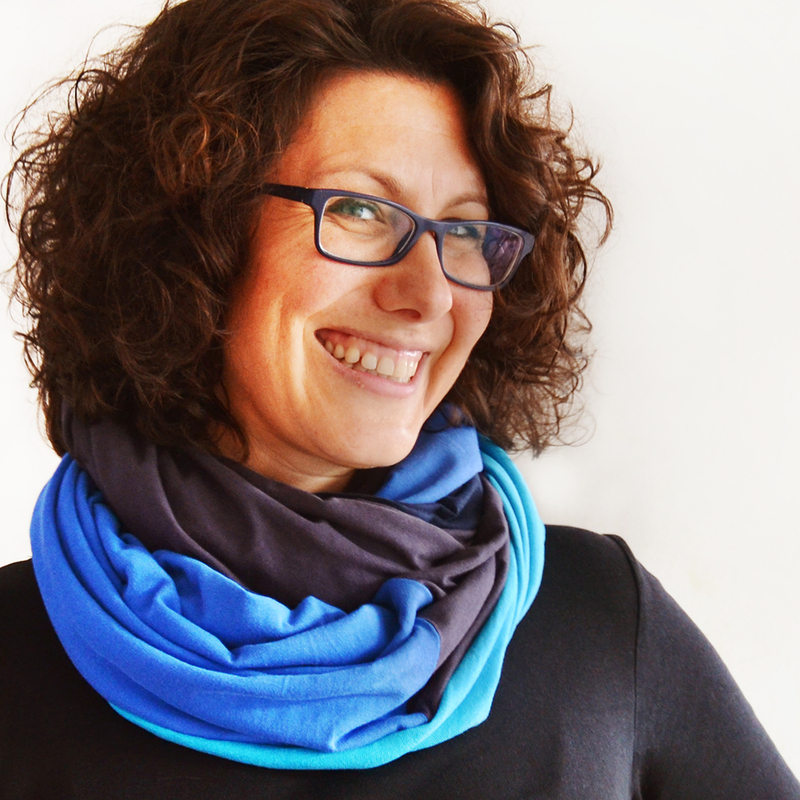 Grazie di essere una topbloggerkreattiva così creativa e piena di entusiasmo!!! Le tue farfalle sono deliziose ed oltre a stare davvero bene su quel triste cancello sono perfette per rendere più allegri vestiti e accessori! Complimenti, il tutorial e chiaro e dettagliato, da provare! Grazie mille, Debora! Non è tristissimo quel cancello? Hanno pitturato la scuola l’anno scorso, bella e colorata, ma quel cancello è orribile! Mi ha fatto piacere aggiungerci un po’ di allegria! Anche il tuo tutorial mi è piaciuto molto, Francesca! Grazie mille! 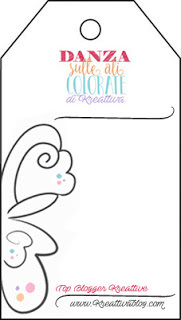 Belle e colorate!! 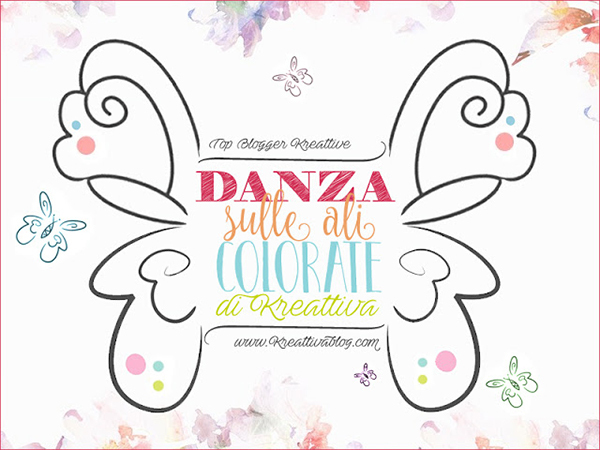 Una bella idea per la primavera!! 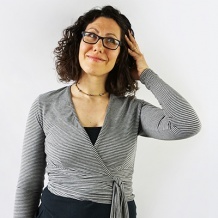 Grazie Sara! Per me i colori rendono la primavera il periodo più allegro dell’anno! 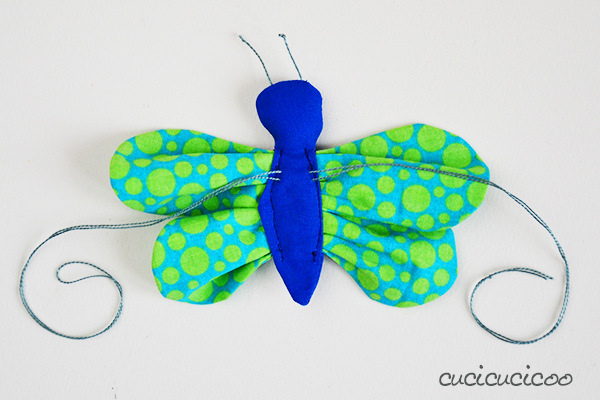 Già l’idea di liberare delle farfalle con i relativi tutorial da poi ritrovare nel blog era fantastica, ma che potessero anche decorare i cancelli di una scuola, la trovo davvero una bellissima iniziativa. Magari le nostre città fossero piene di spunti creativi abbandonati agli angoli delle strade, pronti a essere raccolti da animi gentili e altrettanto creativi. 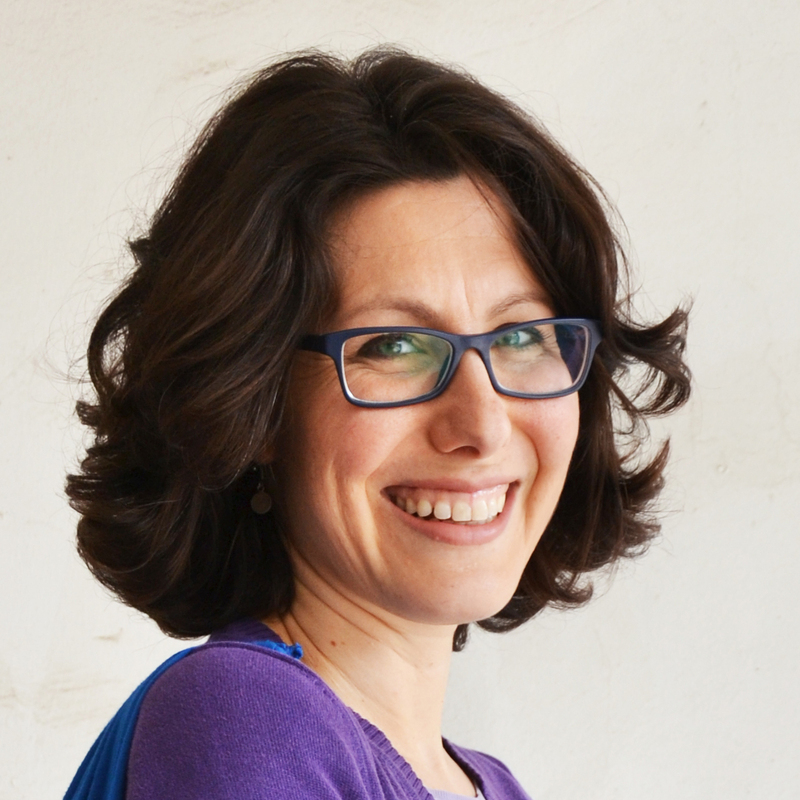 Grazie mille, Cristiana! Devo dire, l’idea di mettere le farfalle fuori la scuola mi è venuta all’ultimo momento. Facevo fatica a capire un posto buono, dove i vandali non le avrebbero distrutte subito, ma dove potevano essere gradite, e poi un giorno ho pensato di fare così quando ho accompagnato i bimbi a scuola! Un ottimo lavoro da fare insieme ai bambini ed il risultato è bello e dolcissimo!